From Uganda, Bosnia and Herzegovina and Vancouver, today’s confirmed designers all approach their design process from different angles. Utilizing unique textiles, non-traditional shapes and structural details, all have an important point-of-view which will be shared very soon at Vancouver Fashion Week. 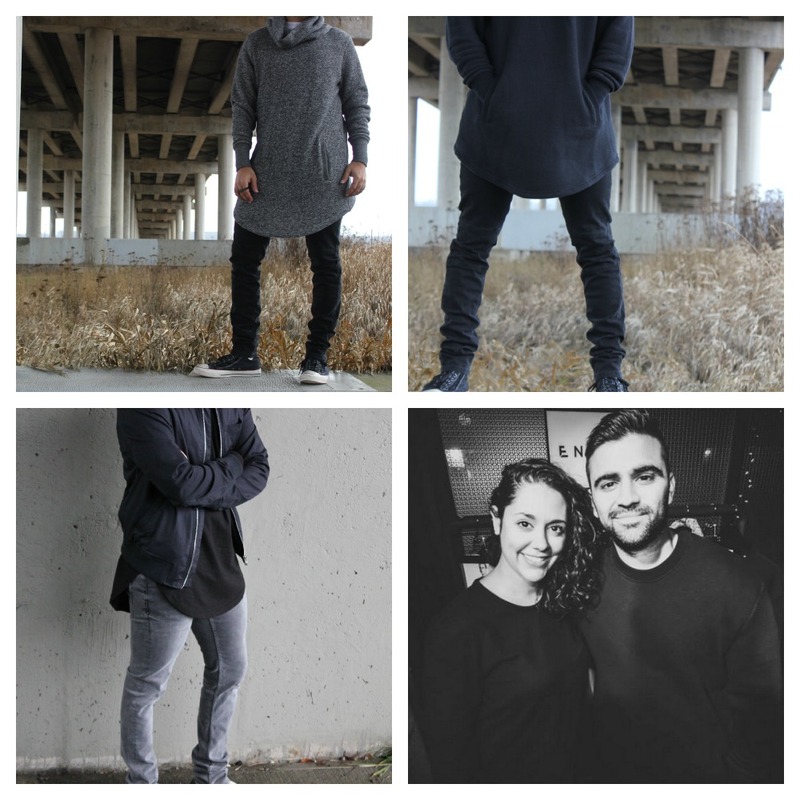 Encima is a luxury men’s streetwear label launched in 2014 by husband and wife duo Faiz and Suzy Lalani. The labels philosophy is to create pieces that truly reflect individuality. Using knits, terry fabric and cottons, the look and feel is one of oversized comfort and warmth. As a label, Encima is supportive of the Vancouver economy, the local fashion community and producing garments in an ethical manner. They are especially proud of the Made In Canada label that is sewn into each piece of their garments which are so representative of west coast casual culture. 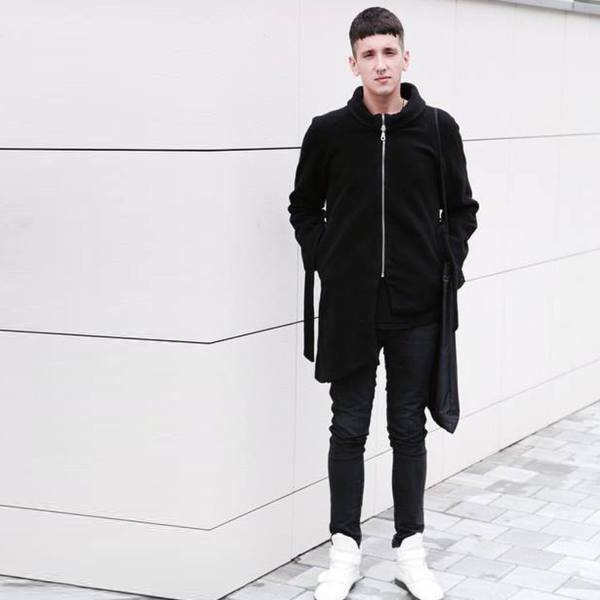 Marko Feher is a young designer born and creating in Banja Luka, Bosnia and Herzegovina. He studied at the Fashion and Textile Design at the College of Technology and University of Banja Luka. He is known for making political statements on the runway and with his accompanying music. Using monochromatic knits and leather, Marko designs futuristic military uniforms with strong clean lines that emphasize body shapes. Playing with structure, he creates asymmetrical jackets, high-waisted leggings and snug pullovers with elongated necks that can mask the wearers identity. In 2013, Marko present his first collection Virdzina at the Banja Luka Fashion Fair to much popular acclaim and in April 2014, won first place in the Perwoll New Generation which was produced as a part of Sarajevo’s Nivea BH Fashion Week. The jury members were won over with Marko’s collection Enough for men and women and the feminine collection Ice Machine which featured futuristic minimalism in monochromatic tones. In 2015 Marko collaborated with the brand Funky Guerrilla for the first time and produced the limited black edition. Marko has also collaborated with celebrities in Bosnia and Herzegovina, like Vanja Misic from X Factor, and BH artist and human rights activist Dijana Tepsic. José Hendo is a Ugandan designer with a fresh approach to fashion design by challenging the nature of fashion and the throw away culture of fast fashion. Her pieces are sculptural and avant garde and the fabrics are created from organic barkcloth, cotton, hemp and recycles garments such as men’s suits, denim, wedding dresses and more. José and her namesake label also supports ethical trading, fair working conditions and raising awareness about the environmental issues affected by the fashion industry. 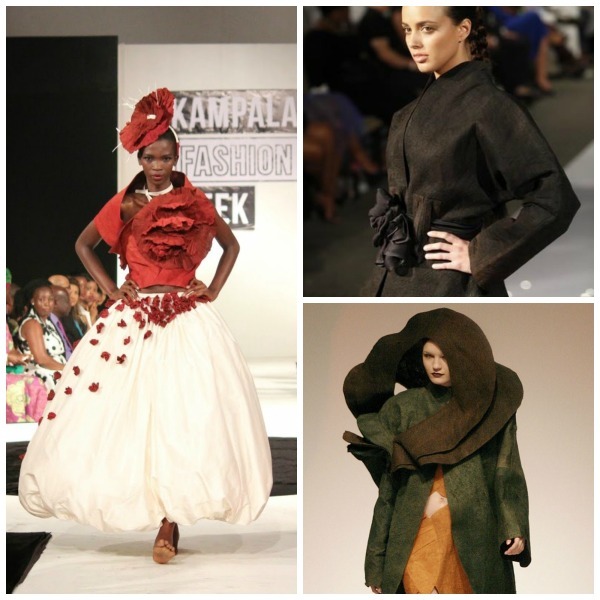 José Hendo was nominated to represent Uganda at World Fashion Week Paris 2014 and is the Designer by Appointment to Ugandan Royalty and government officials. She has designed for four royal weddings and her award-winning collections have been featured at EcoLuxe London, London Fashion Week, Berlin Fashion Week, New York Fashion Week and Kampala Fashion. “Through my research, I learnt what happens through the life-cycle of a garment: from growing the crop, making the cloth, garment production to customer then to landfill and recycling. 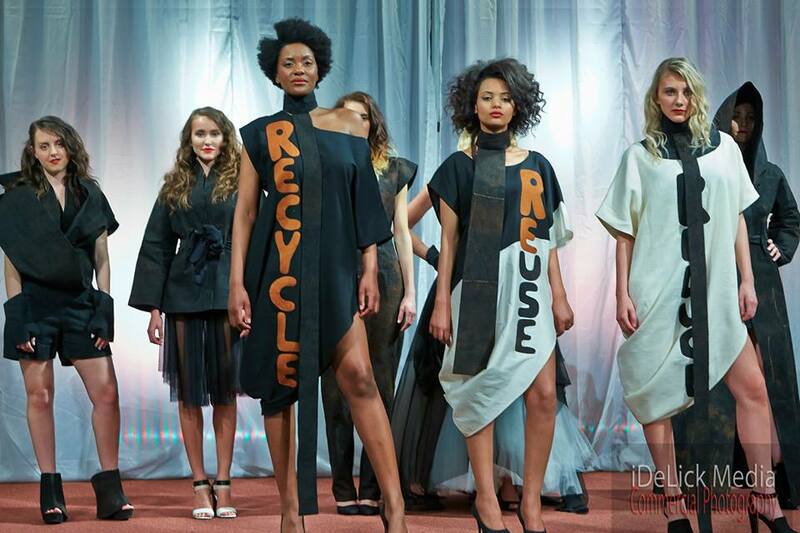 Designing clothes now requires an awareness of the environmental impact of the fashion industry. That’s why I combine good design with sustainability, using the 3Rs Reduce, Reuse, Recycle; this has become the cornerstone of my label,” José says. José Hendo is on a mission to make bark cloth work alongside mainstream fabrics. Bark cloth is created using a century’s old technique and one that is recognized by UNESCO as a masterpiece of the oral and intangible heritage of humanity. This runway collection is definitely on the list of must-see’s for its creativity, uniqueness and the passionate statement José Hendo is making with her ethical statement and exclusive fabrics. As is tradition, Vancouver Fashion Week will host a sponsored after-party each night once the runway is cleared and last pair of Louboutin has clicked out of the Tentnology tent! Check out the VFW Facebook page for location details.